Congratulations Julie Lavigne – Graduate -Springfield Technical Community College and Julie Cady, Graduate – Quinsigamond Community College. 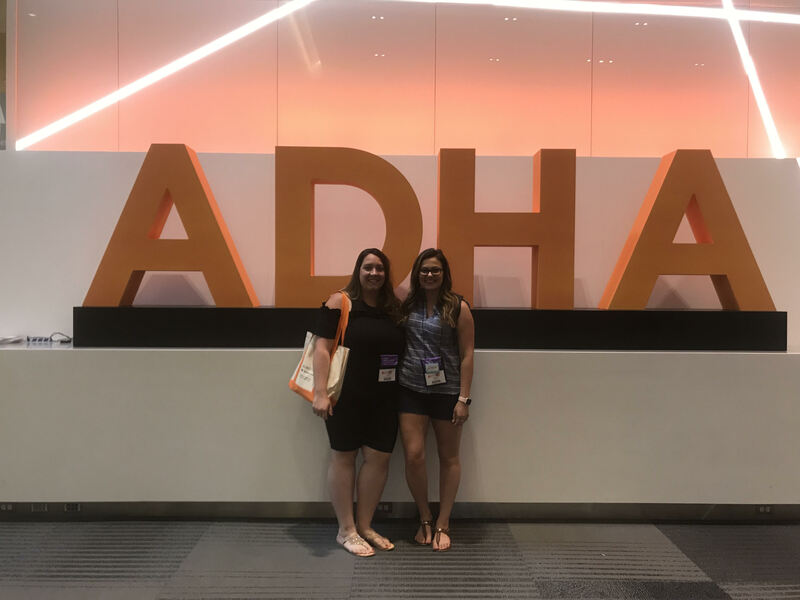 Julie and Julia were the 2018 award recipients of The MDHA scholarship to attend ADHA’s 95th Annual Session in Columbus, Ohio. Each year MDHA awards two scholarships for new graduates to attend annual session. MDHA welcomes Julie and Julia to their new profession as Registered Dental Hygienists. Please take the time to read their stories about their trip to Columbus. MDHA encourages all second year students to apply for this great scholarship. Applicants must be a permanent resident of Massachusetts regardless of school choice. Applicants must be entering at least their second year in an accredited Dental Hygiene program. Graduating hygienists pursuing higher degrees in dental hygiene, public health or research may also apply. A current transcript must be submitted (an unofficial transcript is sufficient). The cumulative average must be 3.2 or higher. Two letters of recommendation from Program Directors or faculty of the applicant’s school will be required. Applicants will write a personal statement indicating their interests, career goals and views of Dental Hygiene. All personal statements shall be no more than two double spaced typewritten pages. 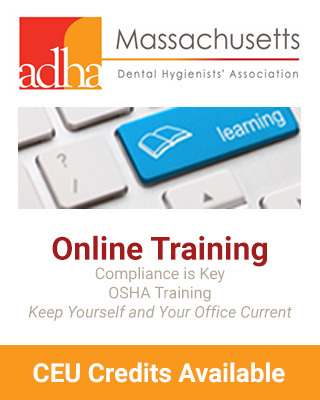 The Massachusetts Dental Hygienists’ Association would like to send two graduating students on a trip to ADHA’s CLL 96th Annual Session in Louisville, KY. These students must be active student members of ADHA, and should have an interest in becoming involved with the MDHA. The association hopes to educate students about what its role is in each dental hygienist’s career before and after they graduate. Students have a unique opportunity to apply for a position as a Student Delegate. As a Student Delegate, you not only represent all student members of the American Dental Hygienists’ Association, but you also sit on the House of Delegates floor during all three meetings. Each student will be considered for the student delegate position. Student Delegates are funded to attend their district workshop and the American Dental Hygienists’ Association’s Annual Session. Funding consists of airfare, lodging (two students per room), ground transportation and per diem. Because funds may vary annually, please contact your District Trustee for the exact dollar amount. Each year the American Dental Hygienists’ Association of Massachusetts will award a dental hygiene student $500.00 which will be applied to tuition and fees.